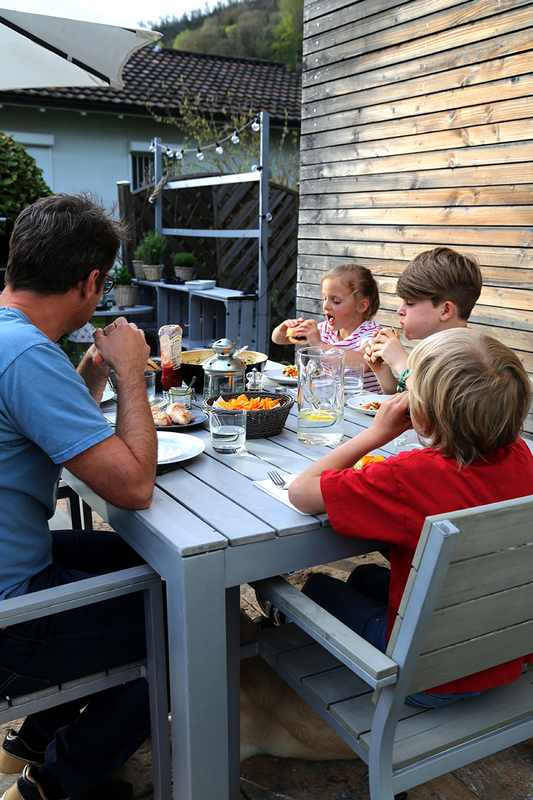 Barbecue Tips: Barbecuing with Kids & Gadgets! Today I’m delighted to publish the blog article, I’ve written for the company “Tchibo”. Check this Link. Spring is here at last! Everything is blossoming, the garden is calling. Here are 2 recipes for kids and grown-up’s to kick off into the new BBQ saison! 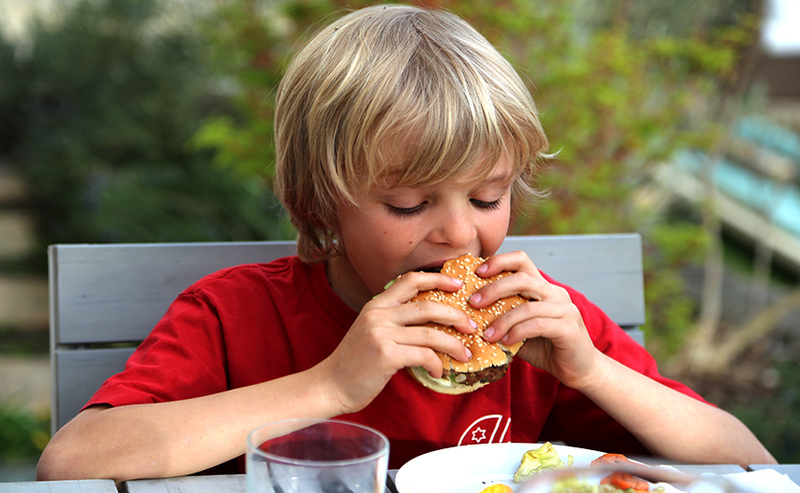 Our kids love burger’s. And even better if they can prepare their favourite recipes themselves. Soak the bread in warm water. Chop up the onion and parsley. Mix all the ingredients in a bowl (except for the bread). Squeeze the water out of the bread and add to the mixture. Season with salt and pepper, knead it and we’re ready to make the burger’s. As my eager, little cook is demonstrating… put the burger mixture into the form, press it until it fills the form (right up to the brim) turn it over, press the bottom out and there you go! A perfect burger. Right, now all Daddy has to do is grill them and put them in their buns. 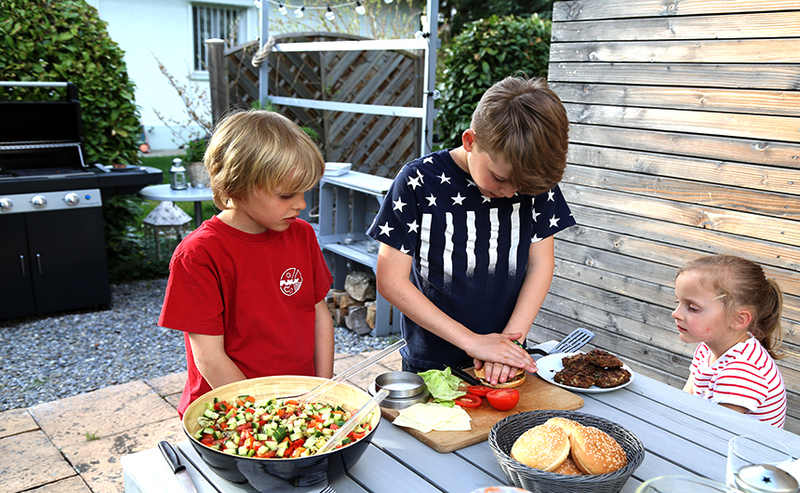 With yummy ingredients such as: tomatoes, cheese, salad and ketchup (of course), we let the kid’s take over and arrange their “Best Burger’s” to their individual preferences. My husband loves cool, high-tec gadgets! 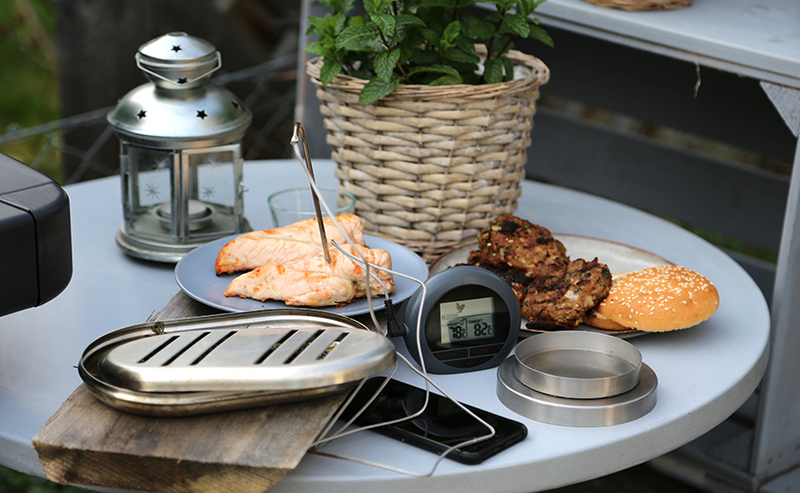 Therefore he was extremely pleased with the bluetooth barbecue thermometer Now he can connect his mobile (his favourite gadget) to barbecuing. All he had to do was download the GrillnGo App, stick the needle into the chicken and connect the two. Choose what to cook (veal, pork, chicken etc.) and the App asks you how you want it (bloody to well done) and it does all the work. Goodbye raw meat and under cooked chicken. No need to cut your food to make sure that it’s done. I’m thrilled! And the boys think that their new gadget is cool too, that they can “play” while they’re barbecuing (they could hardly take their eyes off the display of the temperature reader). I love creating new recipes and flavourings. So while my husband and the boys were enjoying themselves with their new gadget, I’ve been busy experimenting with this “flavour box”. I’ve soaked some Rosemary and Thyme in a bowl of water for about thirty minutes (to stop them from smouldering under the heat), then I put them in the smoker box and left them with the chicken under the lid of the barbecue to give the chicken breasts a little extra flavour. Delicious! To go with it I made a courgette-tomato salad with a simple dressing and a bowl of crisps. 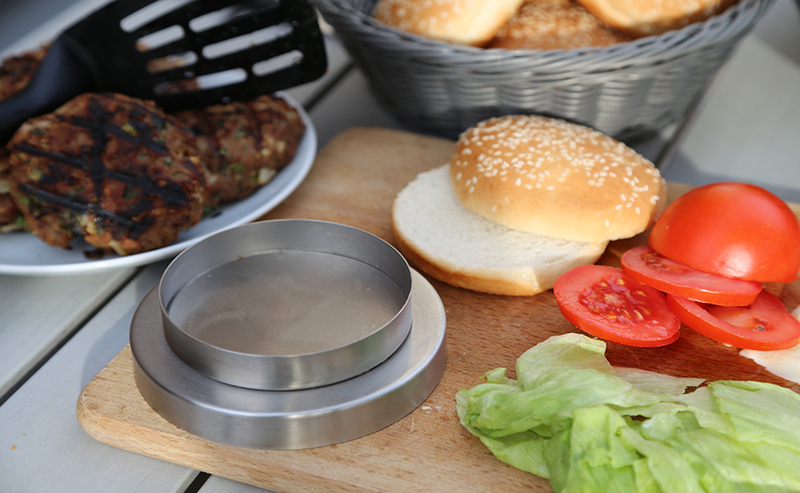 If you are interested in the burger press, the bluetooth barbecue thermometer or the smoker box then click here for further information. looks yummy and what is better than bbq anything on a beautiful spring day? Love it! Love learning about new flavor enhancing gadgets. The little one’s preparing barbeque was so cute.stay blessed💐💐💐. Previous PostReady For Some Rhubarb Pie?